Hello everyone, and welcome to today’s look at some of Mike’s Favorites! 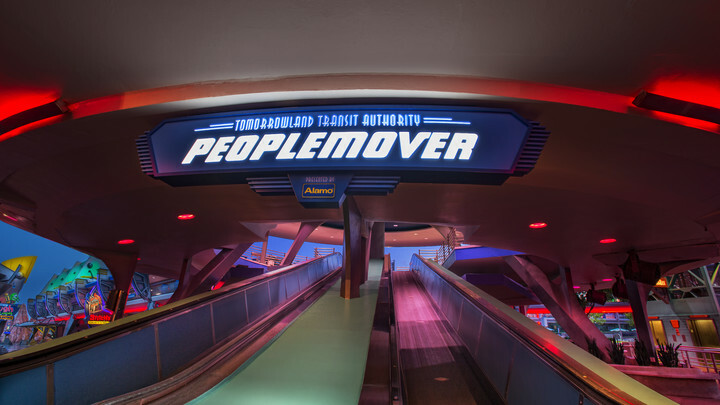 On Tuesday we explored Walt Disney’s Carousel of Progress, and today we’re continuing over in Tomorrowland by looking at the Tomorrowland Transit Authority Peoplemover, also known as the TTA! When it comes to relaxation at the Magic Kingdom, I am hard pressed to find something I enjoy as much as the TTA. 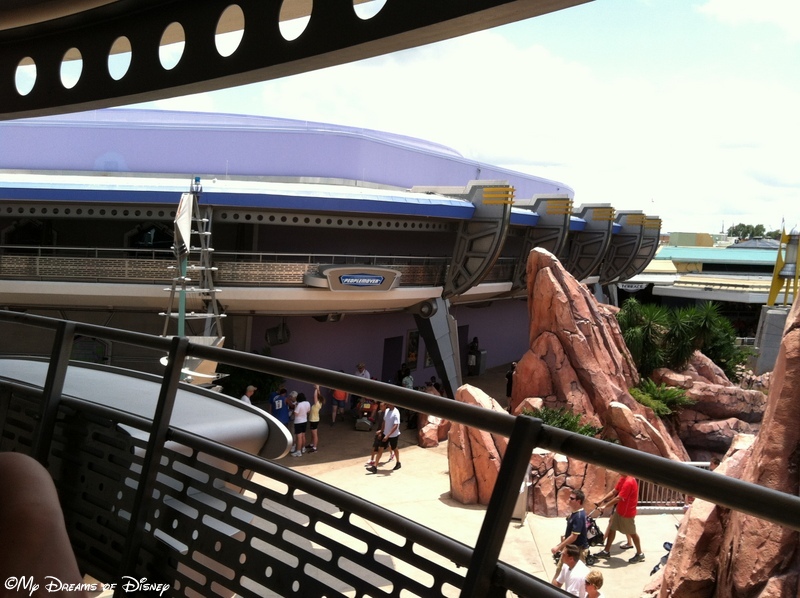 This incredible moving attraction takes you on a tour of Tomorrowland, with unique views within Space Mountain, Buzz Lightyear, and incredible views over the walkways of Tomorrowland. Some of my favorite views of the Magic Kingdom have been seen from the TTA at night, with the incredible lighting of Tomorrowland, Cinderella Castle, Space Mountain, and the Astro Orbiter. 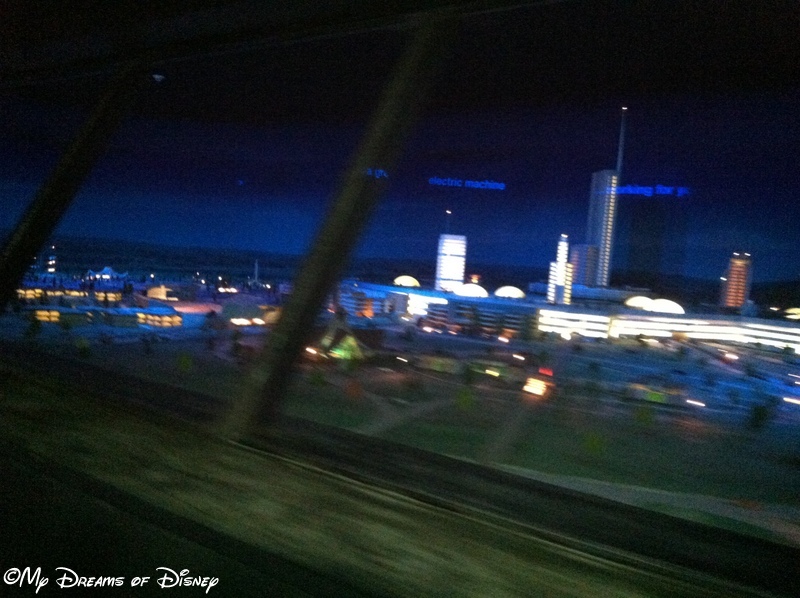 Here are some of my best TTA photos that I would like to share with you. A view of Tomorrowland as seen from above. The model of what Walt Disney envisioned for EPCOT. 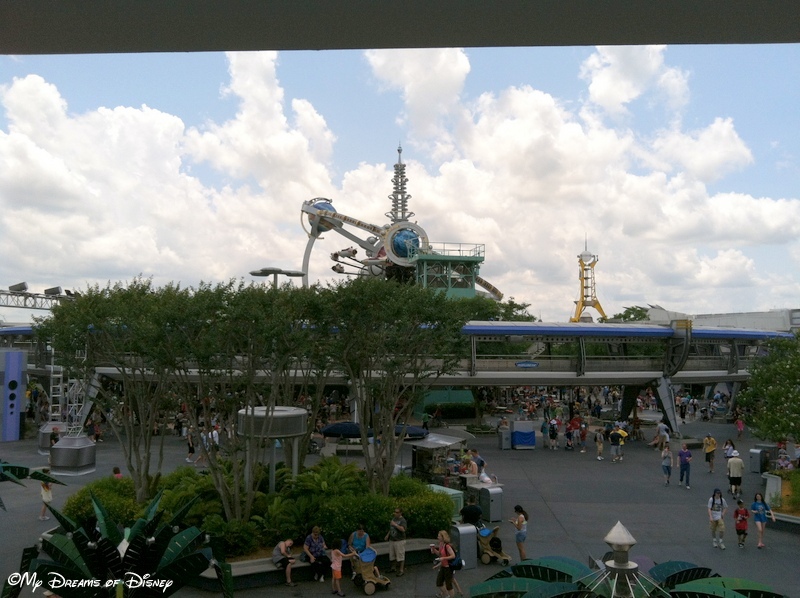 The Astro Orbiter is just above the start of the Tomorrowland Transit Authority Peoplemover. 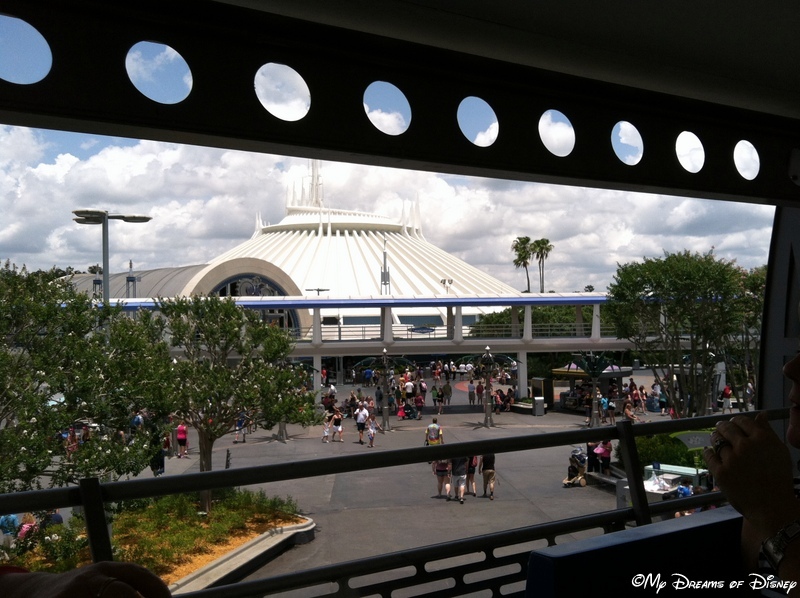 A shot of Space Mountain from the Tomorrowland Transit Authority Peoplemover. Closing us out is a great ride video from Central Florida Sights and Sounds of the TTA at night. Enjoy! 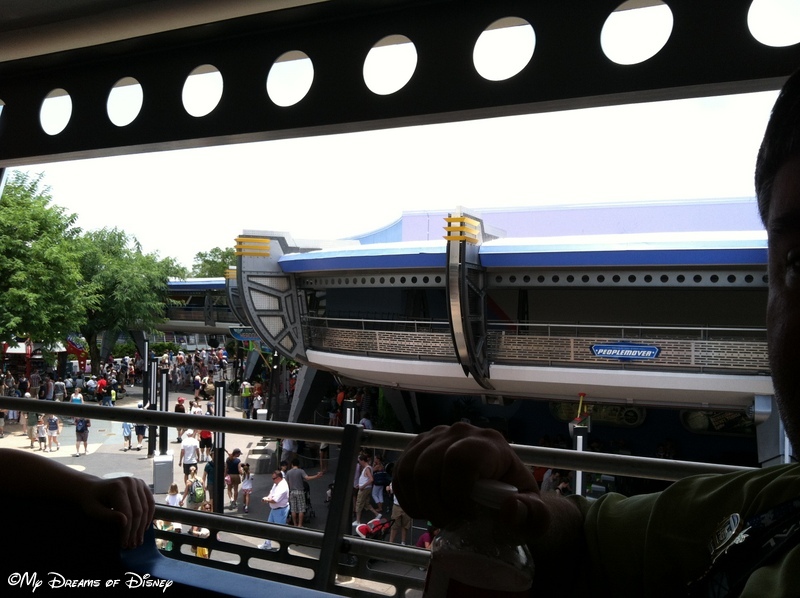 What do you think of the Tomorrowland Transit Authority Peoplemover? Must ride, can’t stand it, or meh? Let me know in the comments below, and thanks! Walt Disney’s Carousel of Progress is one of my favorite shows! The other day it dawned on me that we haven’t been to Walt Disney World since June 2014! This past summer was when we went to Disneyland for the 60th Birthday, so it has now been roughly 18 months since our last trip to Walt Disney World. That’s crazy to think about, so as a result, these next series of posts are going to be looks at some of my favorite attractions, rides, shows, whatever you want to call them, at Walt Disney World. Today we kick it all off with a look back at the past and the “future” with the Carousel of Progress! To me, CoP (as the Cast Members know it as) is as much about history as it is about entertainment. In each of the scenes, you experience what life was like in a certain segment of time in American history. While the actual year is not displayed, you can figure some things out. For example, in the opening scene, John talks about those Wright Brothers, so dates things at around 1902, 1903, somewhere in that timeframe. Then, in the next scene, if you look closely, you can see on the back of the Niagara Falls fan that he is using the year. That year, my friends, is 1926. Of course, the biggest debate among Carousel of Progress fans is whether or not the ride should be updated, especially regarding the last scene, with the futuristic programmable ovens, virtual reality, and all of that. There are reasons for and against on both sides of the aisle for this one, but as for me, I’m of the opinion that it should not be updated. This attraction is one of the last that Walt Disney personally worked on, and to me, despite the words of Walt himself that the parks would never be completed, puts me in the camp of not changing this attraction any more than it has been in the past. But enough of what I think. What do you think? 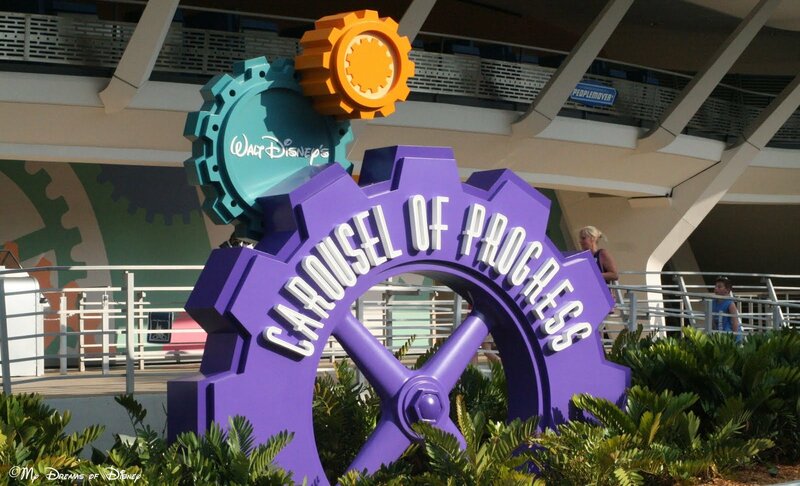 Should the Carousel of Progress be updated? Or should it stay just as it is? To be (updated) or not to be (updated), that my friends is the question! Please let me know by leaving us a comment, and thanks for stopping by today! To close us off, have a look at the attraction in it’s entirety, courtesy of bigfatpanda.com! You know, to be honest with you all — and with myself, I might add — the early visits to Walt Disney World when I was a kid all those years ago are somewhat a fuzzy memory to me. For example, in my first trip, when I was 11 years old, I remember the feelings I experienced more than the attractions I rode. However, there is something from those early visits that I really do remember quite well, and today, I’m going to talk about it in Friday Flashback. That attraction is the old Skyway attraction. For those that are younger than I and don’t know what the Skyway was, I’ll tell you. The Skyway was a special one-way transportation attraction that would take you from Fantasyland to Tomorrowland — or from Tomorrowland to Fantasyland. When you rode to either destination, you couldn’t continue back without getting back in line for a second trip. 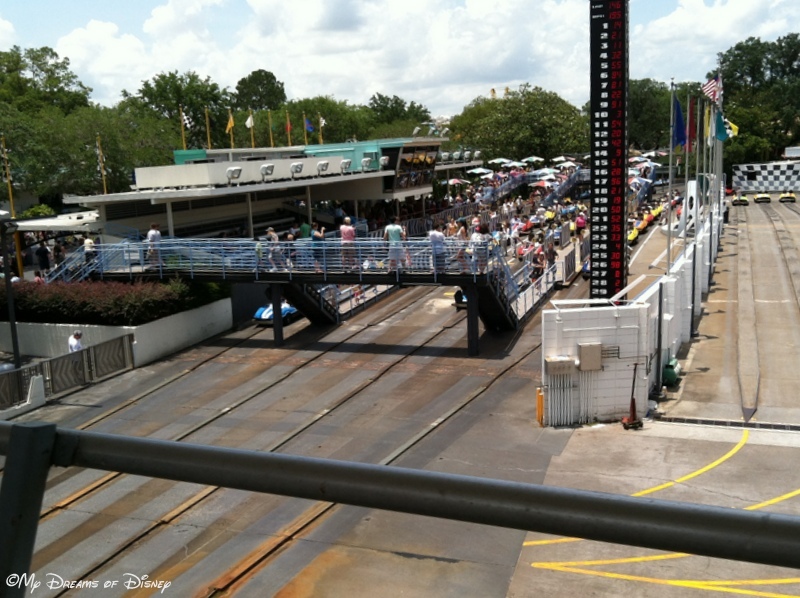 The Skyway was a suspended gondola type ride, where you were lifted into the air and suspended from a steel cable as your car was taken from one part of the Magic Kingdom to another. 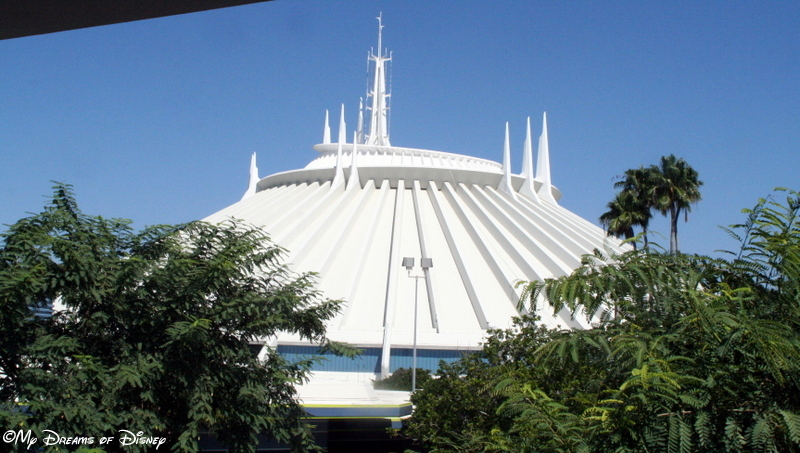 It was a whole level of freedom that you just didn’t get any other way, because you were able to look at the Magic Kingdom from a whole different dimension than you would normally get, and I LOVED the Skyway. At it’s least, the Skyway was a nice, relaxing way to journey to another part of the park without tiring your feet any more than they already were. At it’s best, the Skyway was a way of seeing parts of the Magic Kingdom you never see anymore — a way to be above it all and reflect on the beauty of the park, how blessed you are to be able to experience it — and if you are a kid like I was — perhaps a way to tell your parents or grandparents thanks for taking you there! The Skyway was an original opening day attraction at the Magic Kingdom, and had identical rides at Disneyland and Tokyo Disneyland. The Magic Kingdom version of the Skyway attraction lasted the longest, being open until November 5, 1999 — over 28 years! 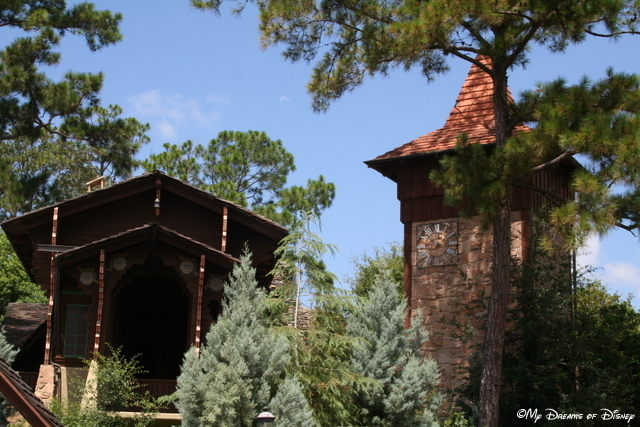 Now, for your enjoyment, here’s a YouTube video of the attraction for you to enjoy! From my experience, usually this attraction does not need a FastPass selection as the line isn’t usually that long, but FastPass is offered, so if you have one to burn, take advantage of it. 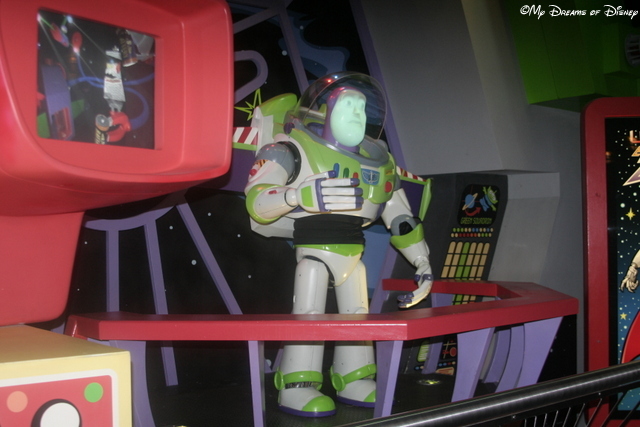 The queue for this is fun, but not interactive, unless you count Buzz as interactive, as he does talk and move around. You are signing up to be a cadet to help Buzz fight the evil Emperor Zurg, and to do so, you will be in your specially designed spacecraft that spins so you can shoot all around you. For each target you hit, you’ll get points, and the higher your score, the better! What is your high score on the game, or the high score of your kids? At the end, your score will help you determine what rank you achieve — my all time high score is 999,999, which, coincidentally, is the highest that the game will count to. Now, I’m not ace at flying and shooting to achieve that score — the ride stopped moving, but I was still able to shoot, and the points kept going up and up and up! So, definitely put an * next to that score for the record books, but it was fun anyway!